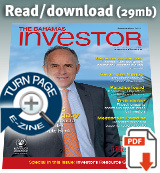 Captive insurance – Why The Bahamas? 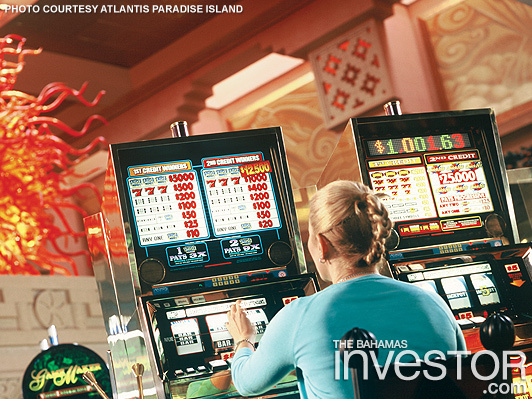 In The Bahamas, gaming has long been considered a profitable offshoot to the country’s thriving tourism industry. Gaming has proved its resilience during the recent downturn and is continuing to contribute significantly to the country’s economy, generating around $146 million in annual revenue, which equates to approximately $48.6 million per casino. Hoping to grow the industry further, The Bahamas is on the cusp of a major overhaul of the sector. At press time, the government was preparing to update the 1969 Lotteries and Gaming Act, with new legislation that seeks to modernize the industry and allow it to take advantage of innovations in Internet technology and mobile gaming—a move casino operators hope will help The Bahamas compete with rival destinations such as Nevada and New Jersey. According to figures released by PricewaterhouseCoopers, spending in the gaming market in the US will rise by five per cent from $57.5 billion in 2010 to $73.3 billion in 2015. However, the firm predicts dramatic growth in the Asia Pacific region, with a projected 18.3 per cent increase compounded annually to $79.3 billion in 2015. To sustain this growth, the sector is constantly evolving and in recent years has expanded to encompass new technology, making it easier for gamblers to play online and make bets from personal devices. At press time, only two US states are legally allowed to offer online gambling—Nevada and Delaware. New Jersey has successfully trialled the technology and was expected to legalize it in November 2013. The difference between a user’s device and a slot machine on the casino floor is crucial to a casino. While the average slot machine costs between $12,000 and $16,000 and requires regular maintenance, a smartphone or tablet gambler costs the casino nothing. Games can be updated as needed to keep pace with the industry, players are not confined to the casino floor and the system allows for more routes to revenue, such as earning points that can be spent in the resort, instead of money. The Atlantis Mobile Casino gaming application can be downloaded from the Atlantis website. Users must then visit Atlantis’s race and sports book in the casino to create their account and deposit funds that can be topped up as needed. The application is compatible with mobile devices and tablets and allows users to play slots, poker and other games. Las Vegas-based Cantor, which created the application, has a wealth of experience in the sector. The firm made mobile gaming history in September 2013 when it partnered with Celebrity Cruises to offer the cruise industry’s first online casino system that allows passengers to download free slots, table games and video poker to their personal devices, via the ship’s Wi-Fi network and play anywhere onboard the vessel, while it is in international waters. Similarly, with Cantor’s new system in place at Atlantis, visitors will be able to place a bet from anywhere within the extensive resort grounds, whether by the pool or at the beach. During its trial period, the technology is restricted to certain areas of the resort by means of geofencing—a technique that creates a virtual perimeter–but will be extended throughout the resort. The resort is also hoping to stir up interest abroad, particularly in the South American market, which has given The Bahamas a boost in tourism arrivals since the introduction of Copa Airlines’ direct flights from Panama to Nassau in June 2011. According to Markantonis, Atlantis hopes to open sales offices across Latin American in 2014, establishing a presence in Brazil, Argentina, Colombia, Mexico and Chile. “The South American market is brand new for us. We are piggybacking on that with our casino,” he says. The resort also has sales offices in Russia and the Middle East, which they will use to generate additional interest from those markets in the gaming operations at Atlantis. “Our hope is that our casino marketing teams will be able to take advantage of these [offices],” adds Markantonis. One of the most common applications for mobile gaming is sports. The North American sports wagering market is estimated at around $300 billion, but only one per cent of that is placed through legal sports books. Currently only four US states have legalized sports wagering—Nevada, Delaware, Montana and Oregon—and, of those four, only Nevada has taken it to a comprehensive mobile platform. In October 2013, Atlantis relaunched its 6,860 sq ft race and sports book, with sports wagering provided by Cantor. The $5-million facility boasts a high definition video wall capable of showing up to 20 sporting events simultaneously, 44 personal wagering stations, eight personal betting lounge stations and eight bar gaming slots. Aside from betting in the resort’s sports book, which is located off the Royal Towers casino, players can download the Cantor Mobile Sports application to bet elsewhere on the property. Cantor introduced mobile sports wagering into Nevada in 2009 and Amaitis believes there will be parallels between that state and The Bahamas–particularly when it comes to generating the “handle,” a gaming term meaning the total amount of money wagered on an event. “We changed the landscape in Nevada,” he says. “We have a good footprint on how we are going to operate [in The Bahamas]. Historically there has been very little handle down here. That happens with word of mouth. Players come down, have a great time, tell other people and it becomes viral. In Nevada it spiralled out of player experience. Atlantis is not the only casino hoping to snag a share of Nevada’s business. When it opens in December 2014, the Baha Mar Casino & Hotel will gain the country’s fourth active gaming licence–the other three being Atlantis Paradise Island, Resorts World in Bimini and the Treasure Bay Casino at the Grand Lucayan resort in Grand Bahama. Speaking at a conference in September 2013, Baha Mar vice president of corporate finance Vaughn Roberts called the casino “the heart of the whole resort” and said it would “drive 50 per cent of the economics.” With more than 100,000 sq ft of gaming floor, the Baha Mar casino will not just be the heart of the resort, but also the largest casino in the Caribbean region. In spring 2013, Baha Mar chose Global Gaming Asset Management to manage its casino operations, which will consist of a casino with 150 gaming tables and 1,500 slot machines. The facility will also offer in-room gaming, as well as sports and online betting. As the US grapples with how best to regulate its Internet gaming industry, The Bahamas is taking the lead. The new gaming regulations, which were expected to be before Parliament by the end of last year, allow for sports betting, in-play wagering, mobile gaming, private gaming rooms, liberalization of credit, improved debt collection procedures and more. It will give the industry a chance to overtake its rivals on the US Eastern Seaboard and, unsurprisingly, has been welcomed by sector leaders, who have been working closely with the Gaming Board of The Bahamas. “The gaming regulations that are sitting with government are an indication of what the industry feels needs to happen in this country,” says Markantonis. With these new services on offer, The Bahamas is poised to carve out a considerable foothold in a rapidly growing industry. By 2017, the worldwide mobile gaming market is expected to total $100 billion in annual revenue (of which $45 billion will be mobile sports betting), according to figures from analysts Juniper Research. Gaining a share of this lucrative field will not only benefit the niche gaming industry, but also create employment, contribute to the country’s gross domestic product, broaden The Bahamas’ tourism product and ensure its survival in a highly competitive market. Resorts World is also constructing a 350-room luxury marina hotel, which is expected to be completed by the end of this month. The hotel forms part of Resorts World’s $150-million development for Bimini, including the casino and fast ferry service. The company estimates that the island’s redevelopment will bring as many as 400,000 visitors to Bimini each year.